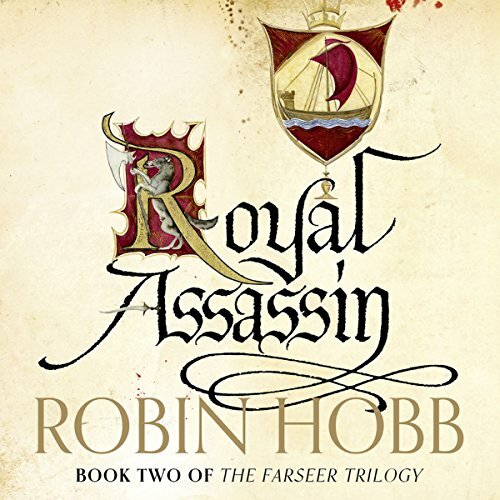 The second volume in Robin Hobb’s internationally best-selling Farseer series. Fitz dreams of Red-Ship Raiders sacking a coastal village, leaving not a single man, woman, or child alive. Tortured by this terrible vision, he returns to the Six Duchies court where all is far from well. King Shrewd has been struck down by a mysterious illness and King-in-waiting, Verity, spends all his time attempting to conjure storms to confuse and destroy the Red-Ship Raiders. 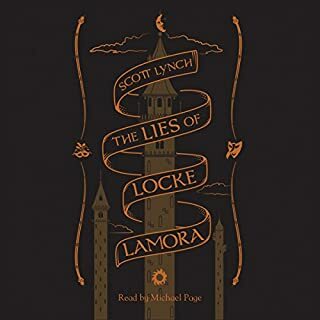 And when he leaves on an insane mission to seek out the mystical Elderings, Fitz is left alone and friendless but for the wolf Nighteyes and the King’s Fool with his cryptic prophesies. fitz sporadically sounds american which is distracting and cook is irish when it pleases the performer. these inconsistencies take you out of this perfect world Robin Hobb has built. i wouldnt let these criticisms stop you. This is a frustrating book. Fitz is so incredibly dumb that almost the whole book you'll be shaking your head wondering wtf the author was thinking. His friends aren't much brighter. A big step down from book 1. Great book, terrible narration. Still worth listening to, but seriously he changes accents for the characters mid sentence. gripping and hard to turn off. I found myself listening at every free moment I had. loitering in the carpark before work so I could find out what was about to happen. great book. 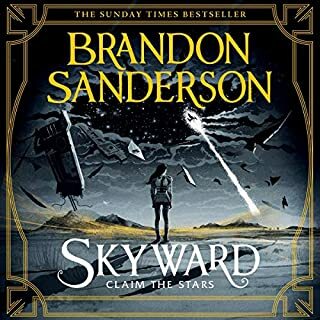 By the end of book 2 I am hooked. Happy to listen to this all day long. 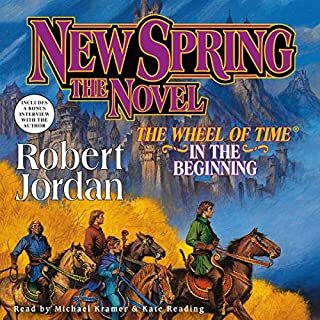 loved listening to this book, I look forward to the next in the series very much. After reading this story so many years ago I wondered if I would love it as much as I did back then. And I do. A timeless story. Gripping from start to finish. I’m really enjoying this series of books. I can’t wait to listen to the next one. Well written. Great story and characters. Fitz and Co. are so blindingly stupid, inept, and narcissistic that by halfway through the book I stopped hating Regal. In fact, I am now firmly on Regals side as he is the only one honest to himself and willing to take any form of action without having to spend months thinking about how his feelings feel about his feelings and making sure his feelings feel looked after and are fed a constant diet of self loathing mixed with the most enormous pity party every recorded. 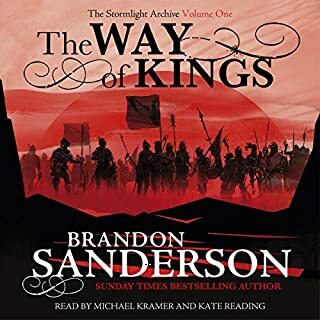 I am sure in the knowledge that the only thing that will be good for the six Duchies is to forge the entirety of the population, burn the Farseer line to ash and remove all memory of them from the histories of the land. The performance of the book was excellent however. 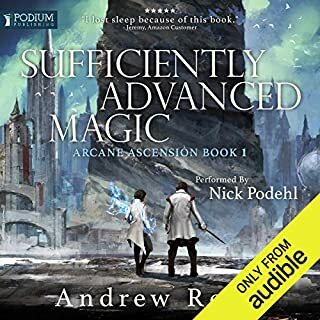 I really enjoyed part 1 of this trilogy, Assassin's Apprentice, and hoped that this even longer sequel would be as good. Well, as it turned out I found it even better! 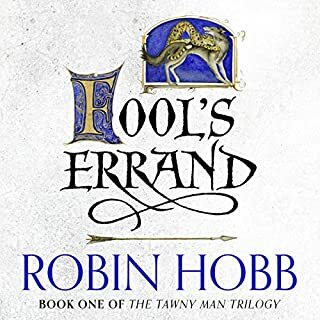 Hobb's style of writing, especially when combined with Boehmer's narration, evokes something like a combination of a Grimm fairytale atmosphere, with hints of mythology and ancient lore. I could even detect some Star Wars, with a grand romance, great evil, lots of action and something resembling Jedi force use! This is fantasy as it should be done. Can't get enough of it. 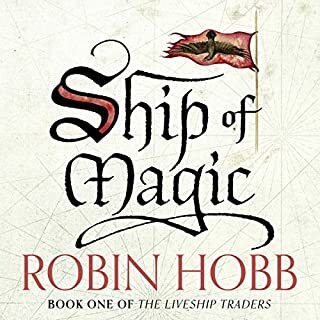 There is no one like Robin Hobb, I loved all of her books and now listening to the narration has been an amazing re-journeying back into the Farseers lives. 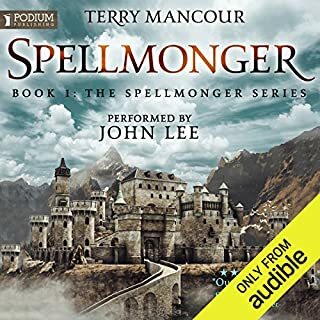 In spite of other reviewers I thought the narrator did a good job. The story was good and involving. Getting used to the narrator! Not cringing so much and despite upper class accent he is doing a fine job. The story is brilliant and worth the agony of narration. 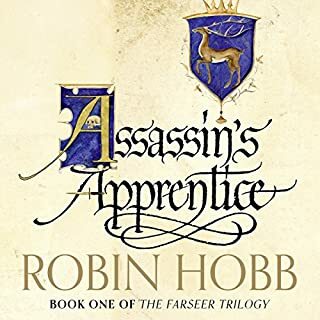 The Farseer trilogy is quickly becoming one of my favorite works of fiction. The author carefully builds a gallery of complex and believable characters that both fulfill and transcend their given archetypes. 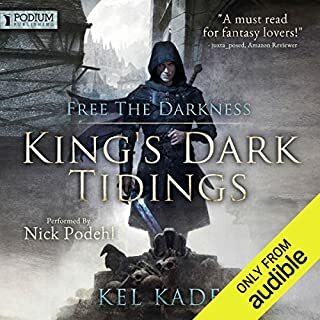 The setting is deep and engaging and the story that takes place there is an absolutely masterful tour of themes like loyalty, friendship, love, duty, hatred and sacrifice. 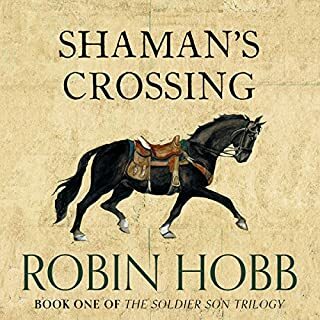 Robin Hobb constructs a living, breathing world around the characters with the immersive writer's voice that she maintains throughout the work. This is in turn rendered magnificently by Paul Boehner, who reads it as if it were an autobiographical work from another life. I will recommend it to my friends, and I recommend it to you. 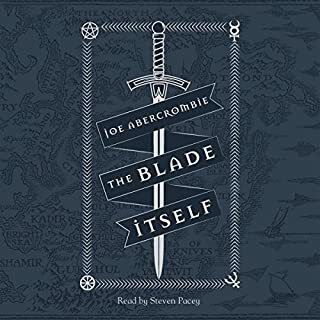 An excellent follow up to Assassin's Apprentice, this book is full of action and adventure. Several times I found myself sitting in my car for several minutes at the end of my commute, waiting for a good place to pause the story, but they are hard to find! Once again, Paul Boehmer reads excellently, and does the story a great justice in the telling. 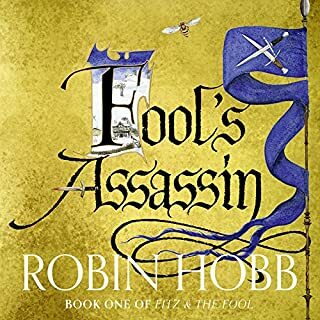 I loved reading the first book in the trilogy, and still think Robin Hobb a good author. 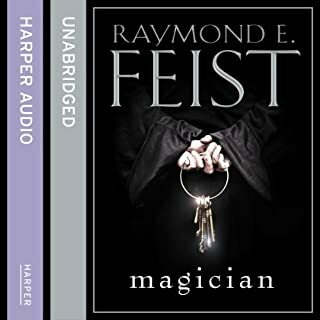 While the story here is inventive and I was looking forward to listening to this one, it was spoiled by the narration. Is this meant to be an English accent? Incompetent voice coach if it is. I would have given no stars if possible. 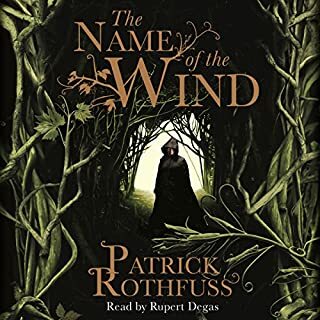 I shall get the third book from the library and read it, far more satisfying to give the characters voices n my own head. Great sequel, performance distracting at times. Narrator had a frustrating habit of pronouncing 'o' as 'aw'. Some dodgy accents, but not too bad overall. Did female voices well for a male. Took some getting used to, but by the end didn't mind too much. I love parts of the book, when I get involved with strong feelings towards the charcters and events of the story. I just dont think that happens quite enough. 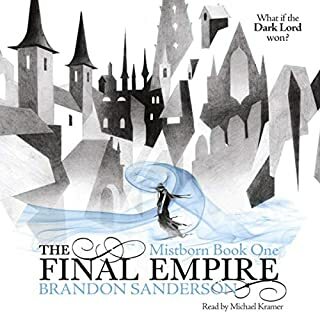 Not quite enough is what I think about much of this and the other Farseer books. I dont quite see it, dont quite feel it, dont quite love it. And yet I want to read on. What is that accent supposed to be? Superb story. Oddly narrated. That’s now how you pronounce those words in English. Story makes it worthwhile to put up with the narrator. The story I thought was better than book 1 and can not wait to read the last one, hoping its not an anti climax. firstly I absolutely adore all of this series, every single book and I have them in printed form as well. Well the narration is better in this book than the first, more inflection in the voice. By now I have come to accept the narrator as Fitz, the Fool and the other Characters. Please don't be put off if you find the narration too stuffy, stay with it. If you cannot bear it then please read the books , all 3 series of them, you really won't be disappointed. I'm starting the sequel right away! the end of this book was a bit abrupt but I live the character and the story.